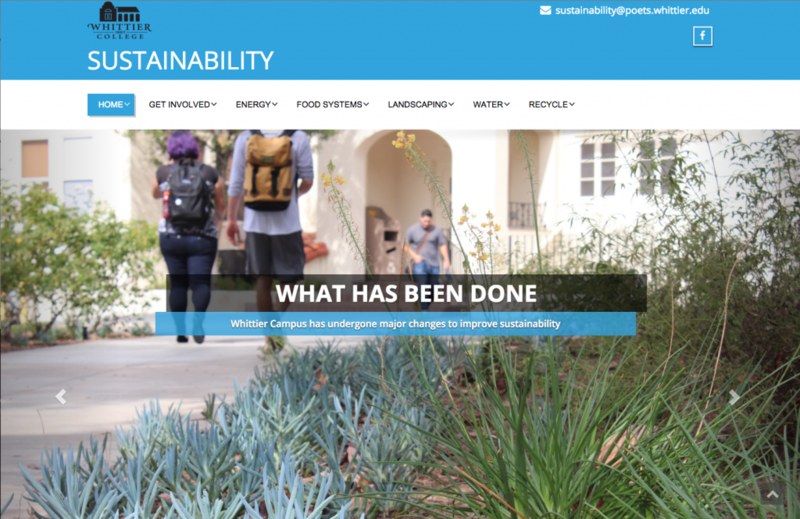 “The content of the website was the result of extensive research conducted by the students in various areas, namely landscaping, recycling, food production and composting, water use, and energy use. The final result is a living product that other groups, ideally faculty and their class, will use and implement to further explore the field of sustainability and use of resources in relation to various disciplines. This result of this ambitious project can be viewed by clicking on the image above. For more information on DigLibArts grants or about how you might undertake a similar project in your own project contact Anne Cong-Huyen in DigLibArts!